This is the seventh article from 中文天天读. “有点儿”,adverb, indicates “low or medium degree”.It is usually used before words with negative connotations, but never in comparative sentences. Duoduo is a lovely and clever child, but he is also a little naughty. “又……又” indicates that several things or qualities co-exist. He often makes the rooms dirty and messy. Toto is a clever and lovely child, but a bit naughty. He very often makes her house very dirty and messy. Her father is very busy at work and has no time to tidy up her room. That’s why mostly her mother tidies it up for her and it’s especially hard on her. Are not these three Chinese words the same? Instead of using the phrase “the same”, I would suggest the phrase “look alike”. I think in English, “the same” means 一样. Thanks, Min Min, for the correction. 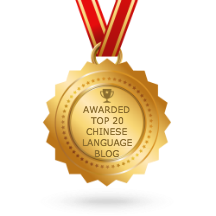 does 聪明 cōng míng besides meaning clever or smart, also mean clear? I was looking at your Saturday translation exercise. Sorry. Actually I want to mean “clever” instead of “clear”. The characters of Ren, Da and Fu, do they not look very similar? Look at their story …. Duoduo is very inelegant child but also a little naughty . mother’s duty to clean the house, she felt it was very hard work. One day she was very tired. What to do? Then she got a good plan. “To pay attention to hygiene is the task of everybody! ” When Duoduo came back from school he saw noticed the big characters on the paper pasted on the wall. He thought for a while and then added one stroke on the paper. “To pay attention to hygiene is the task of an adult!”. “To pay attention to hygiene is the task of the husband! ”. “To pay attention to hygiene is the task of the wife! ”. The Chinese characters for “人”, “大” and “夫” all look pretty similar, don’t they? Have a look at this story about them. Toto is a cute, clever little boy, but he can also be pretty naughty, he’s always making the house dirty and messy. Toto’s dad’s work is really busy and he doesn’t have any time to sweep the house. So, most of the time, Toto’s mother has to do the sweeping. She’s really tired from all this work. One day, Toto’s mother was exhausted. “What can I do?” she thought. She really wanted to come up with a good solution, she went to look for paper and pen. She wrote in big letters and stuck it to the wall: “Pay attention to hygiene, everyone is responsible”. When Toto came back from school he saw the words on the wall. He thought for a minute and added an extra stroke to the words: “Pay attention to hygiene, adults are responsible”. In the evening, Toto’s dad came home from work, with one look he understood. Smiling to himself he adds a further stroke: “Pay attention to hygiene, women are responsible”! For the name “多多”, I think both Toto or DuoDuo are all right. I should also say, I used the Toto translation from the top one – I had originally written Duoduo.